Study groups are a crucial part of BNC Long Island. They act as a central social gathering place, they further lifelong learning, and they help raise money for Brandeis. Through these groups we are proud to provide our members with quality programming designed to entertain and educate. The groups are a great way to spend time with BNC friends or meet new people with similar interests. We make an effort to include a number of topics within the study groups and one-time events each year to ensure there is something for everyone. In past years topics have included literature, law, current events, theater, radio and more! Be sure to bring your enthusiasm and an open mind! Stay tuned for this year’s list of study groups, coming soon! Curious what we have learned already? Check out the study groups from past years. Become a member of our vibrant community and start making friends, expanding your knowledge, and supporting a laudable institution. 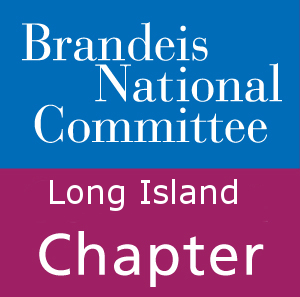 All Rights Reserved, Long Island Chapter of the Brandeis National Committee.